CLICK HERE! Rainforest Fund Water Project – 2014 – YouTube to watch our new video showing a glimpse into our Water Project in the Ecuadorian Amazon. Partner Organizations ClearWater and Frente de Defensa de la Amazonia work with the indigenous and mestizo populations throughout the region to ensure that all local peoples have access to clean, safe, potable water by building rainwater purification systems. Years of unregulated oil production, mainly by Texaco (now Chevron) led to groundwater contamination – the main source from which local people drank, bathed, fished, and cleaned. A Short History of the contamination, re-posted from History | ClearWater. In the 1940s, a conglomerate of Anglo-Dutch oil giants Shell & BP began seismic explorations for petroleum throughout the Amazon. Beginning in the 1960s, recognizing the economic potential of oil deposits in the Amazon, populist Latin American governments began to see oil development as a key to modernization. In 1964, the Texaco-Gulf consortium signed a contract with the Ecuadorian government, granting exploration rights for petroleum, and full-scale production began in 1972. 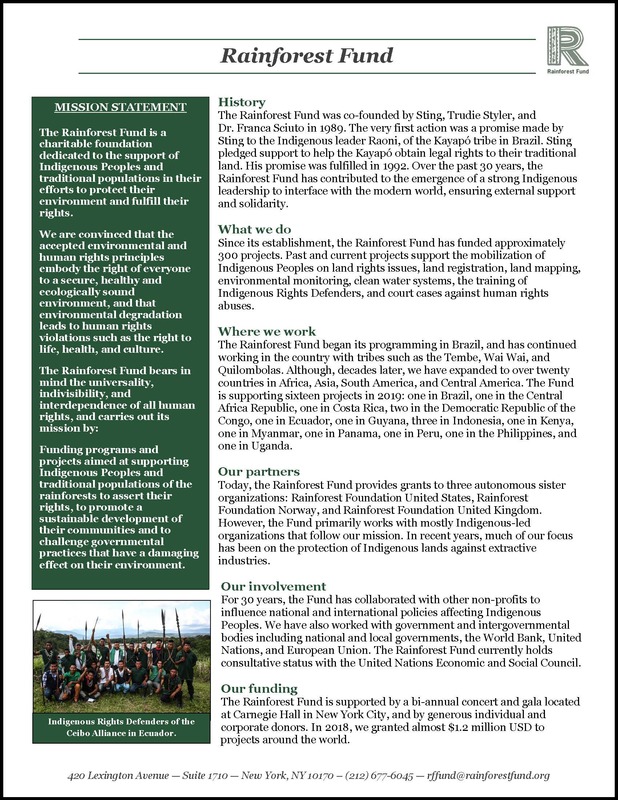 The pursuit of “black gold” aligned with the plans of successive Ecuadorian governments of the 1960s and 1970s to integrate the territory of the Amazon into the political and economic control of the state. The state began to actively promote the northeastern Amazon as a place of tierras baldías—“unoccupied lands”—within a program of agrarian reform designed to alleviate crowding in the highlands. As part of this program, the government promised settlers 50 hectares of land if they cut down and cleared half of their parcel for agriculture or cattle ranching. Soon, poor farmers from every other pars of Ecuador were setting off to the northeast Amazon region in search of land. More than 500 kilometers of roads were built, and settlers appropriated an estimated 11 million acres of indigenous land. More than 250,000 settlers have moved into the region since the 1960s, a number that dramatically exceeds the total indigenous population in Ecuador’s Amazon. For 20 years, Texaco operated with no regard for regulations the company followed in the United States and elsewhere that were designed to protect the health of oil workers, local communities, and the environment. Over 17 million gallons of oil and at least 15 billion gallons of toxic wastewater was spilled into the surrounding area during the 20 years of Texaco operations, resulting in widespread environmental destruction and human suffering. In the early 1990s, it was estimated that 53 million cubic feet of gas was flared daily, directly contaminating the air throughout the region. Some refer to the consequences as the “Amazon Chernobyl,” to indicate the unprecedented scale of the disaster in one of the most biodiverse places on earth. Today, those living in the region report high levels of cancer, skin lesions, and reproductive problems, as well as social conflict from divisive policies pursued by corporations and governments competing for oil profits. Indigenous communities have borne the brunt of the consequences from these decades of unregulated oil production. 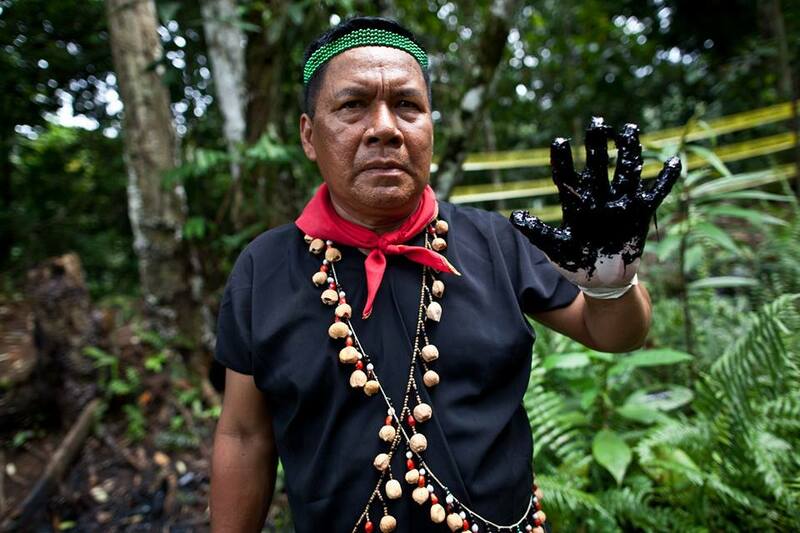 In response to decades of abuse, 30,000 indigenous and farmers have waged a 20-year legal battle to bring Chevron-Texaco to justice and remediate the pollution. In February of 2011, a court in Ecuador found Chevron (which absorbed Texaco) guilty and fined the corporation $9.5 billion in damages. That ruling has been upheld on appeal all the way to Ecuador’s Supreme Court, but Chevron continues to refuse to abide by the court orders in the case.